Come along as Little Happy takes a trip to the zoo, to discover wonderful things about the animals, and wonderful things about you. This delightful, illustrated story book is filled with positive affirmations that parents can speak over their children. Affirmations are a simple, yet powerful means of nurturing a positive mindset with children, allowing them to develop a happier, more authentic self and helping them to enjoy the magic of childhood. While Holly’s primary goal for The Incredible Little Happy is for parents and children to enjoy quality snuggle time together, she has a broader objective: to help people who may have no means to help themselves. Holly and her publisher, WordCrafts Press, have partnered together to contribute a portion of every sale of The Incredible Little Happy to help feed, cloth, and sustain families and individuals in need, locally and globally through SERV International. 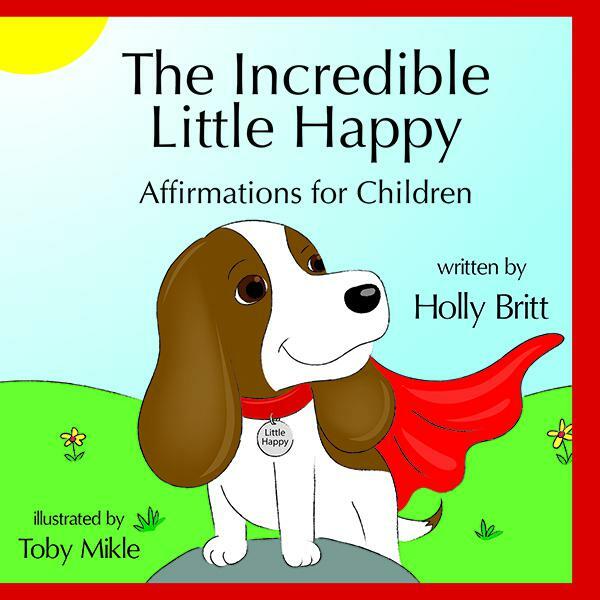 The Incredible Little Happy Affirmations for Children released August 22, 2018, from WordCrafts Press in hardback for $20.99 and in trade paperback for $13.99.